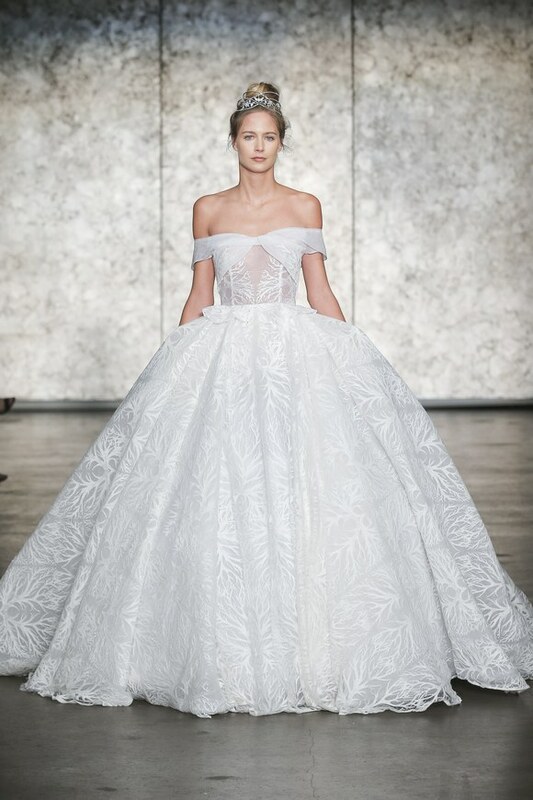 There’s nothing chicer than a New York bride, or a New York wedding gown. 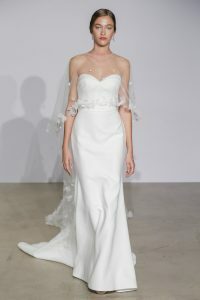 Although every bride is different, the New York fashionista understands how to play with trends and drama, but always with a nod to the traditional. The result? Dresses that make a statement, while always being classy. And what else would you expect, from the city of Breakfast at Tiffany’s and The Great Gatsby? This year we’re seeing trends that are perfect for that sophisticated look — capes, fitted tailoring, dramatic necklines, and more. So expect this year’s Big Apple brides to deliver. 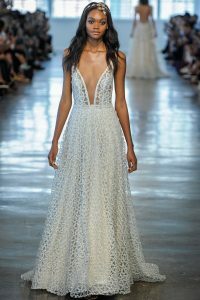 Incorporating some major 2018 trends but still making a classic statement, these dresses are perfect for the NYC bride. For a New York Wedding Gown, it’s all about being fashion-forward while still incorporating classical elements. If you’re looking for a gown fit for a New Yorker, remember to keep it chic and bold. There’s nothing off limits, as long as it’s sophisticated and makes you shine. And, when in doubt, just ask yourself: What would Audrey do?